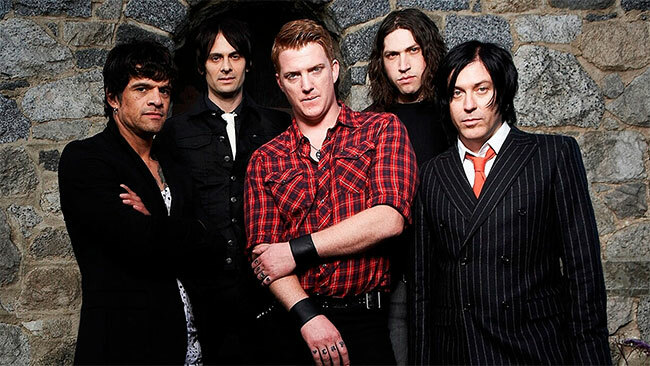 On the tails of completing the most successful North American run of their storied career, Queens of the Stone Age have confirmed a second Stateside installment of the 2018 Villains World Tour, due to popular demand. The new dates will begin with a March 21-22, 2018 two night stand in San Diego, and run through the end of May, including an April 24th appearance at the Austin 360 Amphitheater—the first QOTSA Austin headline show since 2011 and first time in the area since Austin City Limits 2013. The expanded Villains 2018 campaign will also feature stops in New Orleans, Miami and additional dates in Canada where Villains lead single “The Way You Used To Do” has reigned steadily atop the Alternative, Modern Rock and CAR radio charts. Tickets go on sale Friday, November 10th at 10 am local time, with the exception of Austin which will be on sale Friday, November 17th at 10 am local time. Support acts on the new headline dates include Royal Blood (May 17-25) and Wolf Alice (April 24-May 2), with Eagles of Death Metal added to the recently announced January 22-30 run, and Ty Segall as special guest February 1st in San Francisco. See the itinerary below for full details. The 2017 Villains Tour reaffirmed Queens of the Stone Age’s interminable prowess as live performers, culminating in an electrifying two hour, 20 song, career-spanning set at New York’s hallowed Madison Square Garden – their first time headlining that stage – which garnered some of the most enthusiastic reviews the Queens have ever seen. Produced by Mark Ronson and Queens Of The Stone Age, Villains was released August 25th on Matador Records. The album debuted at No. 1 in the UK, Australia, Canada, the Netherlands, New Zealand, Switzerland and Portugal, No. 2 in Germany, Austria, Belgium, Finland, Norway and Ireland, No. 3 on the Billboard 200 and No. 1 on the U.S. album chart, No. 4 on Japan’s international chart and No. 5 in Italy—easily the single biggest global sales week of the Queens’ seven album stretch. Villains’ first seven days in existence also saw nearly 100,000 vinyl albums moved worldwide, as the record became the No. 1 selling vinyl LP in the UK, U.S. and Germany. Villains also took the U.S. No. 1 spots on the Alternative, Hard, Rock, Internet and Independent Label Album charts and No. 2 on the Digital Album sales chart.